Each New Year brings its own set of unique opportunities to the contact center space, both from a technological standpoint as well as an operational one. And as businesses continue to adopt the latest solutions and best practices to support their employees, customers, and organizations as a whole, many continue to run into challenges piecing everything together and making good use of it all. But what are some of the challenges contact centers are anticipating in the coming months? And how can businesses more effectively manage what they have and mitigate the risk of a potential issue? 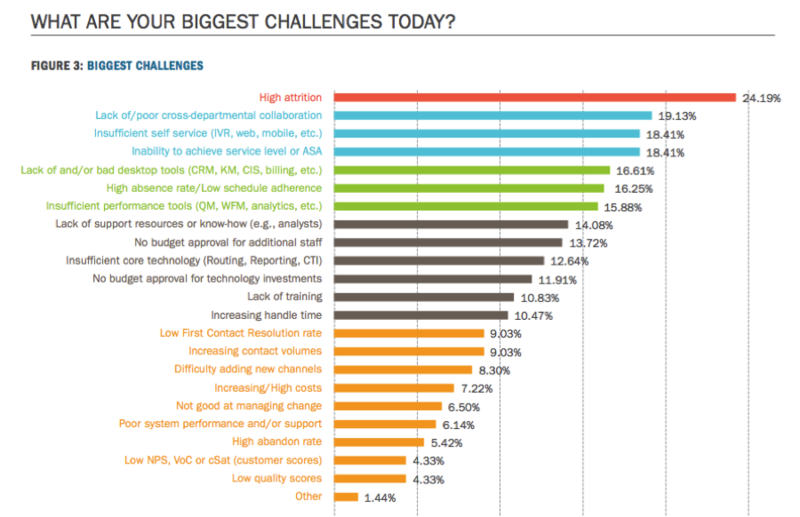 Let's check out the findings of Contact Center Pipeline’s recent survey, “Contact Center Challenges & Priorities”, revealing some of the biggest challenges for organizations today—and how to alleviate them in 2016. Is your business investing in knowledge management? As mobile device adoption continues to rapidly expand, and consumers increasingly demand fast and effortless engagement with the businesses serving them, web self-service (through online knowledge bases) has quickly become one of the most popular and sought after customer service touch points. 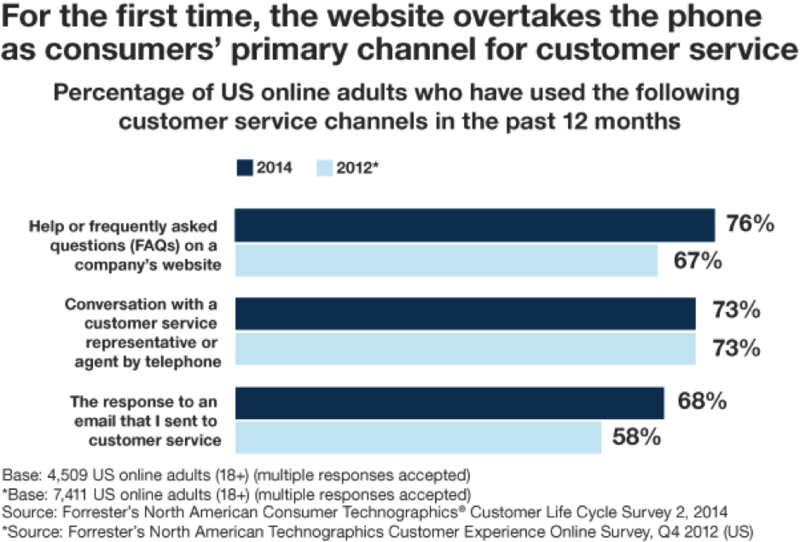 As a matter of fact, Forrester recently conducted a study, which revealed that web self-service is now the most commonly used communication channel for customer service—the first and only channel to exceed phone in history.